Dr Bridget Lewis’ recent book, Environmental Human Rights and Climate Change: Current Status and Future Prospects, is now available. Bridget’s book surveys environmental human rights protection around the world to highlight how human rights law can enhance how we respond to climate change. 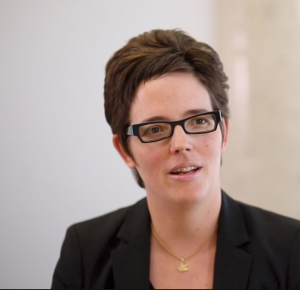 Bridget’s research examines environmental problems using human rights law, particularly those arising from climate change, to argue that governments are violating human rights by failing to protect the environment. Bridget identifies how human rights law at the international, regional and domestic level applies to environmental degradation and then analyses that law to identify where it needs to be improved to protect future generations who will experience the consequences of environmental destruction. 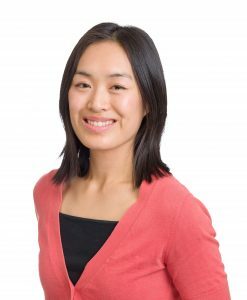 See Bridget’s research track record for a flavour of her research interests and achievements. Bridget’s research continues to make an impact in her field. QUT staff can see her as part of the QUT women in in research showcase at QUT on Wednesday 21 November 2018 from 12pm to 2pm. Register now. (First published on the End of Life Directions for Aged Care Blog, 8 October 2018, reproduced with permission). End of life law governs medical decisions made at the end of life, as well as around Advance Care Planning. •decide whether or not to provide emergency treatment, or transfer a person to hospital. In these situations, health professionals and aged care workers perform a legal role. To do this effectively (and to understand what is lawful, and what is not) they need to know end of life law, and where to go for information and advice to manage legal issues. To support health professionals and aged care workers, End of Life Directions for Aged Care (ELDAC) has developed the Legal toolkit with information and resources to help them tackle legal issues that commonly arise in aged care practice. Help to manage difficult situations that arise in practice. A common example is uncertainty about whether it is lawful to provide palliative medication to a person for pain and symptom relief. Knowing the law can help health professionals and aged care workers to understand what action is allowed, and enables them to provide appropriate care. Reduce legal risk. Better legal knowledge can help health professionals and aged care workers to act lawfully, and reduce the risk of criminal or civil liability. Improve communication with individuals, their families and substitute decision-makers. Disputes about treatment decisions can often arise because of different understandings about the law. Enhance health professionals’ and workers’ confidence and ability to support people receiving aged care, their families, or colleagues where legal issues arise. An example is a resident seeking an aged care worker’s help to undertake Advance Care Planning, or a family seeking information about making decisions regarding care or treatment for a family member. Deliver high quality, appropriate care when legal situations arise. Most importantly, understanding the law matters to the people being cared for, and their families. 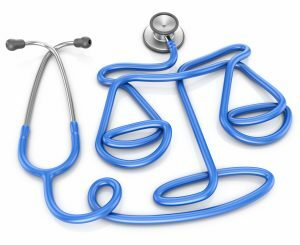 The law is designed to protect individuals’ rights so that people receive treatment that is consistent with their goals and preferences. Respecting a person’s care and treatment decisions can support them to be comfortable for the remainder of their life, and experience a ‘good death’. The ELDAC Legal toolkit was designed by end of life law experts. It contains factsheets, mythbusters, case studies and resources on each of the following legal topics: Capacity and consent to medical treatment; Advance Care Directives; Substitute decision-making; Withholding and withdrawing life-sustaining treatment; Medication for pain and symptom relief; Futile or non-beneficial treatment. There is also a factsheet which provides an overview of End of life law for the Aged care sector, and explains the role of law in aged care practice. Unfortunately, end of life law is complex, and can be complicated to apply in practice. The law that applies is different depending on whether or not a person has capacity. The law also differs across Australia, as each State and Territory has its own end of life laws. To help address this the factsheets provide a general overview of Australian law each topic, and contain useful links to End of Life Law in Australia, a website created by the toolkit authors which provides detailed information on end of life law in each Australian State and Territory. The mythbusters clarify common myths about the law, while the case studies (which are based on real issues in aged care) show how the law applies to aged care practice. From late January 2019 toolkit users will also be able complete online training modules about end of life law through the End of Life Law for Clinicians training project at QUT. Links to the training modules will be uploaded to the legal toolkit in early 2019. For further information and updates about the online training modules email endoflifelaw@qut.edu.au. The Legal toolkit is online and freely accessible here. The Law Council of Australia’s Justice Project: Final Report has been released. The Justice Project aimed to tackle impediments to access to justice for those experiencing significant economic and other disadvantage. 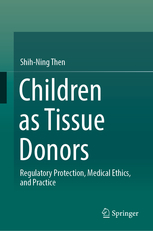 The report cites the submission made by Australian Centre for Health Law Research (ACHLR) and QUT academics Kelly Purser, Bridget Lewis, Tina Cockburn and Fiona McDonald. Citing Purser et al’s submission, the Report identifies older persons, especially older women, as a ‘hidden’ group experiencing significant disadvantage, where knowledge gaps require targeted research. The Report also makes reference to Purser et al’s recommendation to develop national capacity guidelines to establish a nationally consistent, best-practice approach to assessing legal capacity. Read the submission from ACHLR. 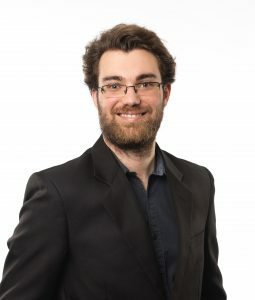 Professor Ben Mathews’s research on the law relating to child abuse and neglect has influenced legislative reform and policy development across Australia and internationally, including reforms to mandatory reporting laws and laws relating to civil claims for injury through child sexual abuse. Each year, thousands of Australian children are sexually abused, causing lifelong psychological and social cost, and vast socioeconomic costs. 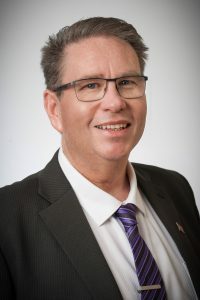 Professor Mathews’s work was a key driver behind the enactment of the Child Protection (Mandatory Reporting—Mason’s Law) Amendment Bill 2016, which requires early childhood educators and carers to report suspected cases of child physical abuse and sexual abuse. Until recently, survivors of child abuse had only three years after turning 18 in which to make a claim. The time limit, in addition to psychological injuries, made it almost impossible for survivors to bring civil claims. Professor Mathews recognised the need for change, and has worked systematically since 2003 to bring about reform across Australia. 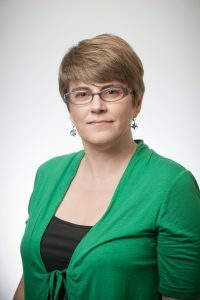 Professor Mathews’s research was cited extensively by the Royal Commission into Institutional Responses to Child Sexual Abuse in 2015, which recommended that the time limits for civil claims be removed. The time limit has now been abolished in seven states and territories, opening up the possibility for survivors to make civil claims. 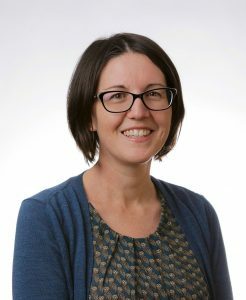 Find out more about Professor Mathews’s work in our research impact story, A voice for the vulnerable. Join some of the leading thinkers in their fields for a one-day symposium on 6 September 2018, on the relationship between intellectual property and the United Nations Sustainable Development Goals. As well as special guest Associate Professor Sara Bannerman, the Canada Research Chair in Communication Policy and Governance at McMaster University, this event will feature speakers from QUT, Griffith University, and the University of Queensland. This event is part of the research theme of international trade and sustainable development at the QUT IP and Innovation Law Research Program. It will cover issues such as access to knowledge, public health, access to clean energy and climate change, and the global economy. Particular focus will be given to global issues within the remit of the World Intellectual Property Organization’s Development Agenda. This event considers the relationship between intellectual property and the United Nations Sustainable Development Goals (SDGs). The new Secretary-General of the United Nations Antonio Guterres has expressed concerns about the implementation of the Sustainable Development Goals. ‘Implementation has begun, but the clock is ticking… The rate of progress in many areas is far slower than needed to meet the targets by 2030.’ The Director-General of the World Intellectual Property Organization Francis Gurry has emphasised the interconnections between intellectual property and the Innovation Goal (SG9). 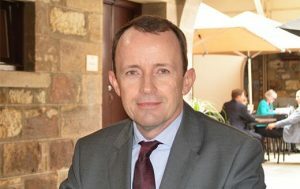 He also stressed that innovation has an impact on a number of other SDGs, such as SDG2 (End hunger, achieve food security and improved nutrition and promote sustainable agriculture), SDG3, SDG6 (Ensure availability and sustainable management of water and sanitation for all), SDG7 (Ensure access to affordable, reliable, sustainable and modern energy for all), SDG 8, SDG11 (Make cities and human settlements inclusive, safe, resilient and sustainable), and SDG13 (Take urgent action to combat climate change and its impacts). On 16 and 17 July, the House of Representatives Standing Committee on Indigenous Affairs held public hearings in Parliament House, Brisbane. The committee is responding to long-standing calls from Aboriginal and Torres Strait Islander artists, members of the community and industry for action and are tasked with investigating possible legal responses to the growing presence of inauthentic Aboriginal and Torres Strait Islander ‘style’ art and crafts products and merchandise for sale across Australia. Read about the inquiry. QUT Law School academics, Professor Matthew Rimmer and Dr Kylie Pappalardo, and intellectual property lawyer and QUT MPhil student, Stephanie Parkin, were invited to appear before the committee. 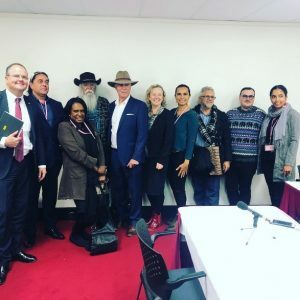 Other members of the community were also invited to give evidence after filing submissions with the committee, including Aboriginal and Torres Strait Islander artists and business owners, wholesalers and representatives from the Queensland Government. 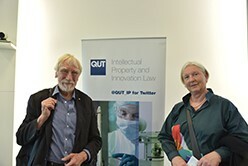 Professor Rimmer spoke about the long history of struggles around Indigenous intellectual property in Australia, and the approaches that international law bodies and other countries have taken to combat similar problems elsewhere. Many of these struggles and approaches are documented in a recent collection on Indigenous Intellectual Property, edited by Professor Rimmer. 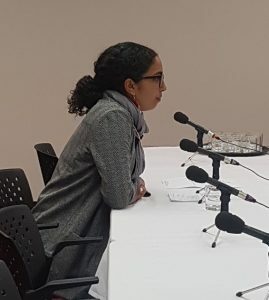 Ms Parkin provided a written submission to the committee in November 2017 and at the hearing spoke about why accurate labelling of foreign-created and controlled ‘Aboriginal style’ art and products is not enough to protect the legal interests of Aboriginal and Torres Strait Islander artists. Ms Parkin, a Quandamooka person from North Stradbroke Island, is undertaking her Master of Philosophy research project on the prevalence of fake art and products in Australia and the gaps in legal protection for Aboriginal and Torres Strait Islander artists. Some of the Brisbane community who attended the public hearings and gave evidence, pictured with members of the committee (left to right): Ted O’Brien MP, John Smith Gumbula, Nancy Bamaga, Bob Weatherall, Warren Snowdown MP, Sharon Claydon MP, Delvene Cockatoo-Collins, Michael Connolly, Elliot Bledsoe and Stephanie Parkin. Photo credit: Delvene Cockatoo-Collins. ‘There are a variety of issues at play here and any proposed solution must include both legal reform and non-legal remedies, including educational campaigns for consumers and long-term support for artists and art centres. In my view, the existence of inauthentic Aboriginal art and products must also cause us to reflect how we, as a nation, value and respect Aboriginal cultural expression,’ said Ms Parkin. Dr Pappalardo discussed the deficiencies in copyright law for protecting Indigenous art from exploitation. She also highlighted lessons raised by Indigenous artists attending a symposium held at QUT in June on Protecting Indigenous Artwork from Exploitation, including the importance of policies to support the development of Aboriginal and Torres Strait Islander artists within Australian communities. The committee has a continuing schedule of public hearings around the country. They aim to identify ways to prevent the misuse and exploitation of cultural expression through inauthentic Aboriginal and Torres Strait Islander art and products. The Intellectual Property and Innovation Law Program (IPIL), the Digital Media Research Centre (DMRC) and the QUT Faculty of Law recently hosted the ‘The Economics of Creativity’ Symposium to discuss the legislation pertaining to the digital market. Professor Ruth Towse, Professor in Economics of Creative Industries at Bournemouth University (UK), Dr Kevin Sanson, Senior Lecturer in the School of Communication at QUT, Professor David Throsby AO, Professor of Economics at Macquarie University, Associate Professor Nicolas Suzor, Principal Research Fellow at QUT Faculty of Law and Dr Kylie Pappalardo, Postdoctoral Research Fellow at QUT Faculty of Law, offered a comprehensive perspective on how professionals from the legal, economic and creative industries work together to balance the needs of consumers and creators. The event was inspired by two empirical projects conducted by Dr Pappalardo and Associate Professor Suzor in 2017. 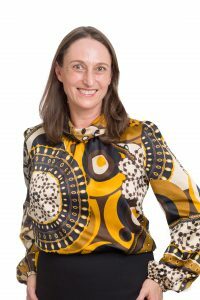 In their first project, the Australian Communications Consumer Action Network (ACCAN)sponsored Associate Professor Suzor, Dr Pappalardo and colleagues in the DMRC to research how Australian consumers access digital markets. The project revealed the discrepancies between Australian and American consumers regarding the access and costs of film, TV, music and games. The results of the project are available at the Digital Media Observatory. 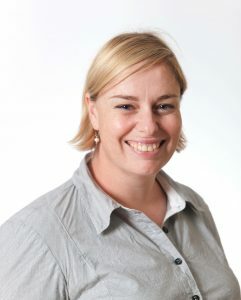 In their second project, Imagination foregone: A qualitative study of the reuse practices of Australian creators, funded by the Australian Digital Alliance (ADA), Dr Pappalardo and Associate Professor Suzor found that Australian creators are intimidated by licensing fees to reuse content and view the amounts of licensing fees as unfair and stifling. At the Symposium, Professor Throsby spoke on his own work into this area, Making Art Work: An Economic Study of Professional Artists in Australia, and explained that although artists contribute 60% of their time to creative work, less than 40% of their income is related to this. The Symposium’s discussion also focused upon the dangers of digitising integral parts of our cultural history. Dr Sanson questioned how society’s move towards services such as Netflix impacts small, local and obscure movies, which would once have been preserved on disc. To answer this question, Dr Pappalardo, Associate Professor Suzor and Dr Sanson plan to continue work on the Digital Media Observatory project. Following the event, Dr Pappalardo and Associate Professor Suzor were awarded an Institute for Future Environments Catapult grant. In collaboration with academics from the Creative Industries and Science and Engineering Faculties, this project will investigate how blockchain can help publishers adjust to new digital markets. The importance of interdisciplinary practice in this area was emphasised by Dr Pappalardo. ‘In order to understand how the internet and digital markets are really affecting creators, such as their impacts on how creators can market and sell their works and earn a living, it is critical that economists, creators, creative industries scholars and copyright lawyers work together. This is a complex problem that requires many minds from different disciplines to solve,’ she said. To keep up to date with these projects, subscribe to the Faculty of Law News and Events.